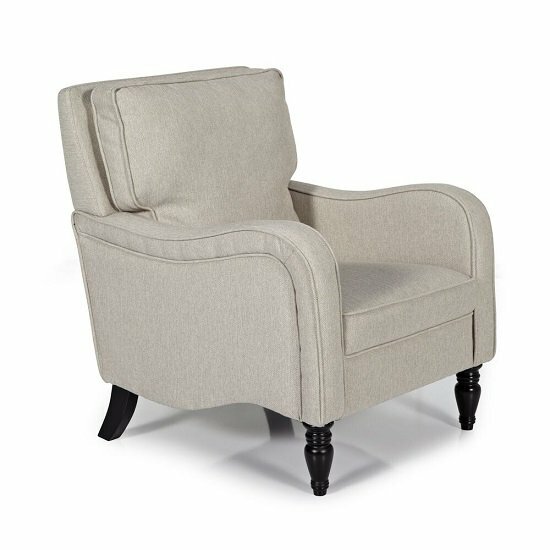 Gemona Fabric Lounge Chair In Latte With Wooden Legs, an attractive, contemporary chair will make a stylish addition to any living space. 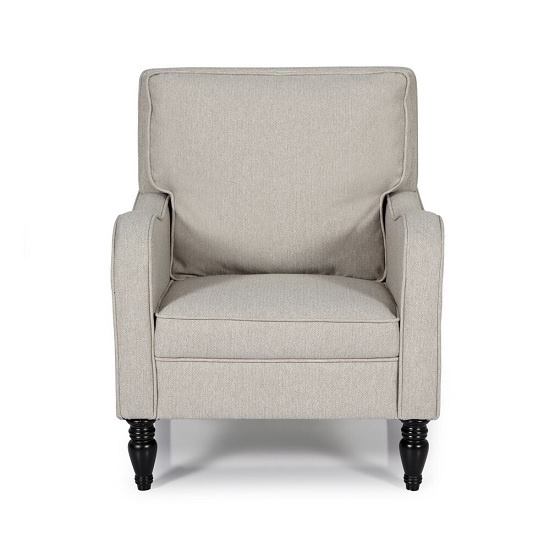 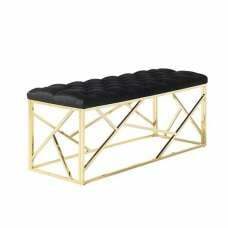 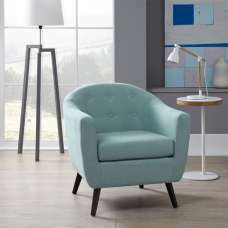 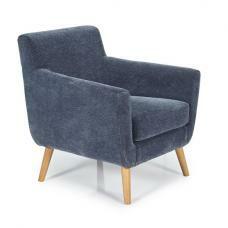 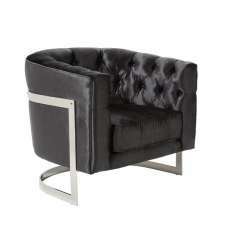 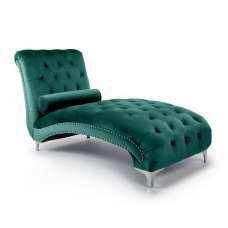 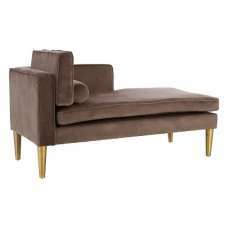 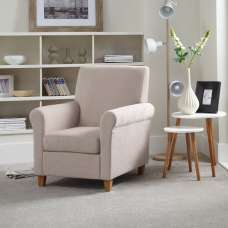 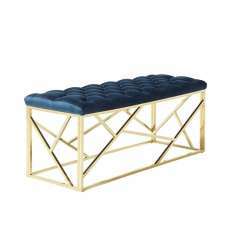 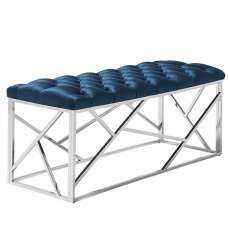 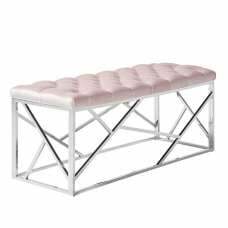 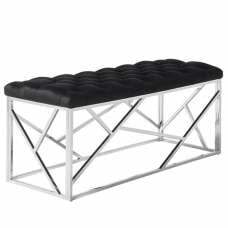 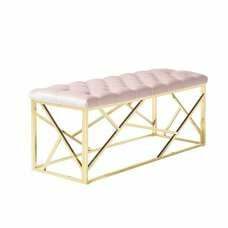 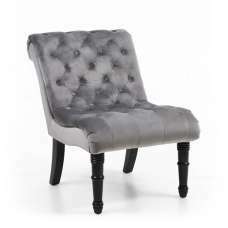 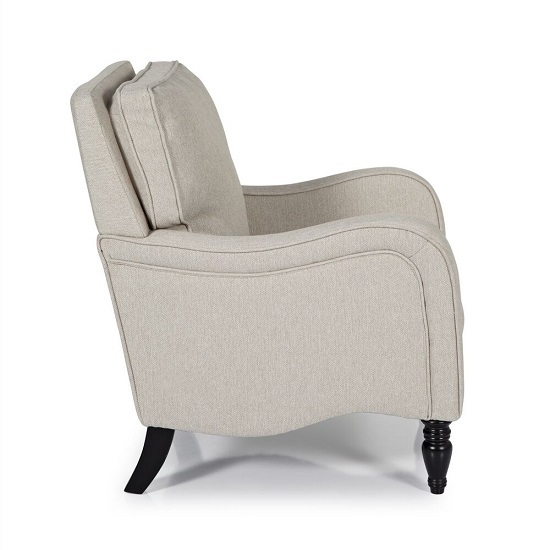 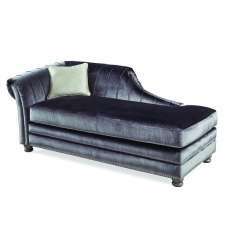 Upholstered in high quality soft fabric with wooden legs. 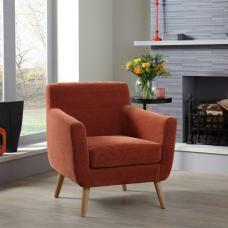 This Chair is well complemented by attractive wooden legs. 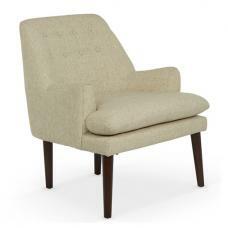 This Lounge chair feels as warm, comfortable and relaxing as it looks. 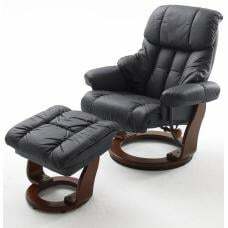 Ideal for living room, Bedroom or hallway.